Viezu has developed a range of Astra Truck engine remaps and ECU software tuning services which cover almost all of the trucks manufactured by Astra. The Astra Truck tuning we provide is custom written, which means each remap can be tailor made to suit your needs. By choosing a remap from Viezu you can greatly enhance a number of areas of the vehicle, which areas depend on which type of remap you choose. Choosing the performance remap will enhance the overall power and torque, also the driveability and throttle response will be improved. However if you choose an economy remap you will see an improvement in fuel economy and fuel efficiency. Viezu has remaps covering both Astra truck diesel tuning and Astra truck petrol tuning too. Astra truck tuning is typically carried out quickly and efficiently through use of the vehicle’s OBD port with a remap being installed in as little as 45 minutes. All of the remaps and Astra trucks tuning produced by Viezu can be tailored to your exact needs, whether you need all out performance or an economy remap offering fuel saving. All Astra trucks tuning and remapping work comes with Viezu’s no quibble money back guarantee and full underwritten insurance. Viezu Astra trucks Tuning is developed in house by our team of ECU software and remapping specialist’s using our environmentally controlled rolling road which can test engine remaps extensively for many thousands of miles both in simulated and real life conditions. Viezu has performance and economy engine remaps for the majority of the modern Astra trucks range, including the ADT 25C, ADT 30C, ADT 35C and the HD8. Viezu has developed range of Astra Truck engine remaps and ECU software tuning services which cover almost all of the trucks manufactured by Astra. The Astra Truck tuning we provide is custom written, which means each remap can be tailor made to suit your needs. By choosing a remap from Viezu you can greatly enhance a number of areas of the vehicle, which areas depends on which type of remap you choose. Choosing the performance remap will enhance the overall power and torque, also the driveability and throttle response will be improved. However if you choose an economy remap you will see an improvement in fuel economy and fuel efficiency. Viezu has remaps covering both Astra truck diesel tuning and Astra truck petrol tuning. 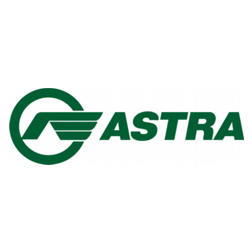 Astra truck tuning is typically carried out quickly and efficiently through use of the vehicle’s OBD port with a remap being installed in as little as 45 minutes. All of the remaps and Astra trucks tuning produced by Viezu can be tailored to your exact needs, whether you need all out performance, or an economy remap offering fuel saving. All Astra trucks tuning and remapping work comes with Viezu’s no quibble money back guarantee and full underwritten insurance. Viezu Astra trucks Tuning is developed in house by our team of ecu software and remapping specialist’s using our environmentally controlled rolling road which can test engine remaps extensively for many thousands of miles both in simulated and real life conditions. Viezu has performance and economy engine remaps for the majority of the modern Astra trucks range, including the ADT 25C, ADT 30C, ADT 35C and the HD8.